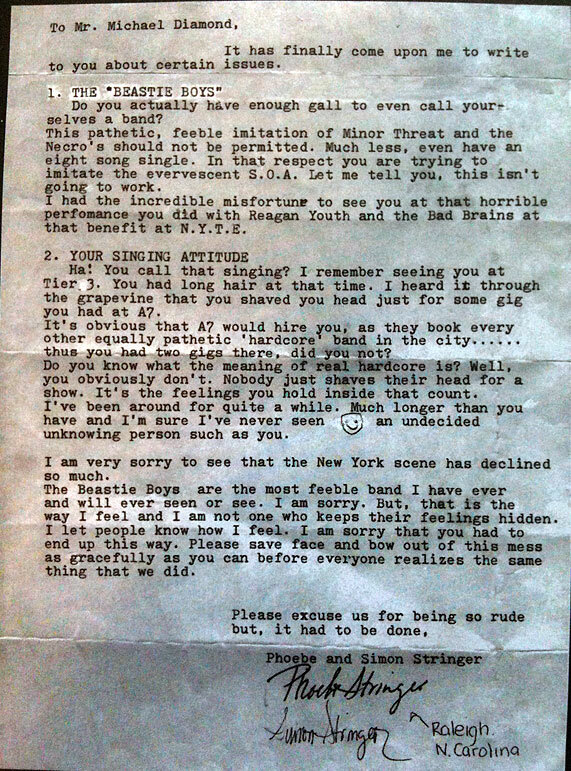 This letter was written to the Beastie Boys early in their career. Not a very flattering letter but the band went on to sell about a bazillion records anyways. Don’t let a little bit of hate make you second guess yourself. Success usually comes at the end of a very long road of perseverance.